Catskill Rehabilitation & Sports Medicine (CRSM), a team of rehabilitation professionals led by Barry Scheinfeld MD, was established in Sullivan Country in 1986. Dr. Scheinfeld and the staff at CRSM have dedicated themselves to promoting the health and healing of their patients. It was in 1982 during his Internship in Internal Medicine at Booth Memorial Medical Center in Flushing, Queens (now New York Hospital) that Dr. Scheinfeld realized he was uncomfortable practicing a type of conventional medicine that relied primarily on the use of medications. He sought out the the Medical Speciality of Physical Medicine & Rehabilitation as we was attracted to its broad scope and philosophy of "improving the Quality of Life" via a thorough a understanding of the whole person, referred to as the "bio-psycho-social model." He began his residency training in the Rehabilitation Medicine Department of The Albert Einstein College of Medicine in Bronx, New York in 1983. It was there he learned expert diagnosis and medical and physical management of muscle and nerve disorders. A chance encounter with a Chinese Doctor who used acupuncture on stroke patients kindled an interest in Eastern Medicine and opened his awareness to alternative medicine. Dr. Scheinfeld went on to obtain his certification to practice acupuncture. He also has studied the role of nutrition and exercise in the prevention of disease and in the maintenance of good health. He has studied the writings and teachings of Dr. Andrew Weil as well as various forms of Energy Medicine including: Guided Imagery, Therapeutic Touch, Alexander Technique, Yoga and most recently, Transcendental Meditation. Dr. Scheinfeld was Medical Director of the inpatient Upstate Rehabilitation Medicine Center at Catskill Regional Medical Center from the inception of the program in 1986 to its unfortunate closing in 2006. he voluntarily resigned from the Executive Committee of the hospital in 2006 but remains on as an attending physician. Dr. Scheinfeld was President of The Medical Society of Sullivan County from 1989-2004. 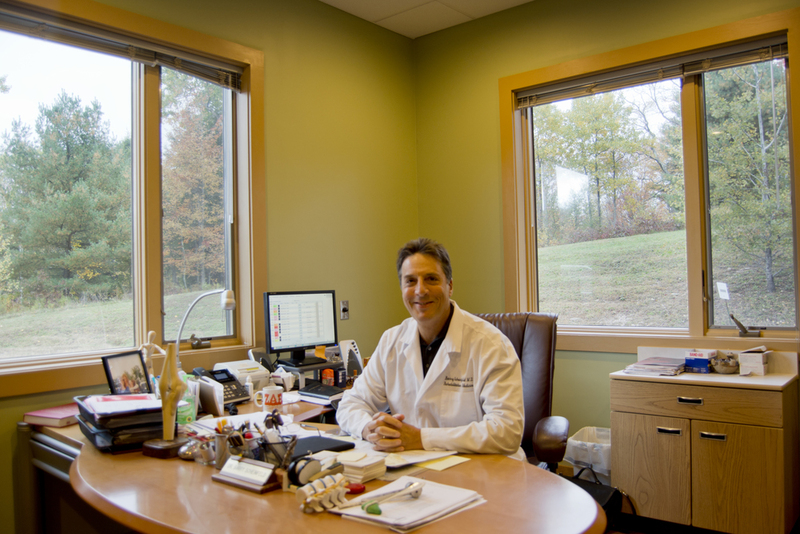 Dr. Scheinfeld is committed to excellence in patient care and will strive to honor the confidence and trust in his patients by providing through, accurate diagnosis, treatment and care. Board Certified 1987 American Board of Physical Medicine and Rehabilitation. American Association of Orthopedic Medicine. New York Society of Physical Medicine and Rehabilitation.